"Oceans. Climate. Life." was a Parley Talks session and launch event held at the United Nations in New York, on the occasion of the 2015 High-Level Meeting on Climate Change convened by the President of the General Assembly. 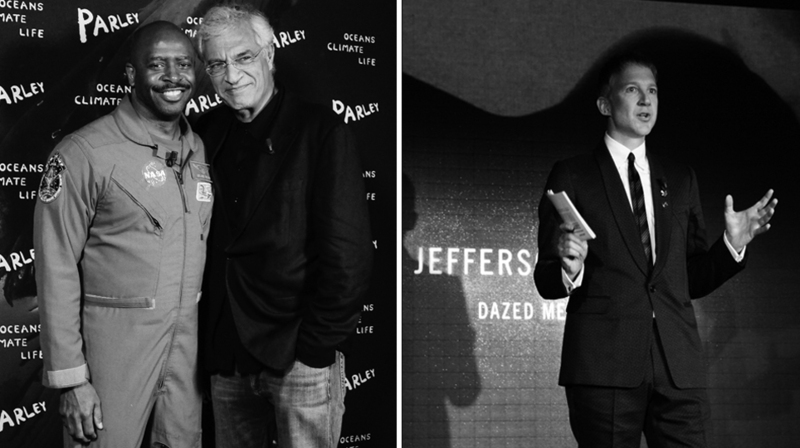 Hosted by Fabien Coustea and uniting notable guests from the worlds of fashion, art, entertainment, science and environmentalism, the event put the oceans at the forefront of discussions in the run-up to COP21 and subsequent Paris Climate Accord. "UN x Parley: Oceans. Climate. Life." also celebrated the formation of new alliances and collaborations to make peace between humankind and its greatest life support system. World Oceans Day, June 8, is an annual reminder to protect and conserve our life-giving ecosystem. It's a time to celebrate and reflect. It's also a time to act. 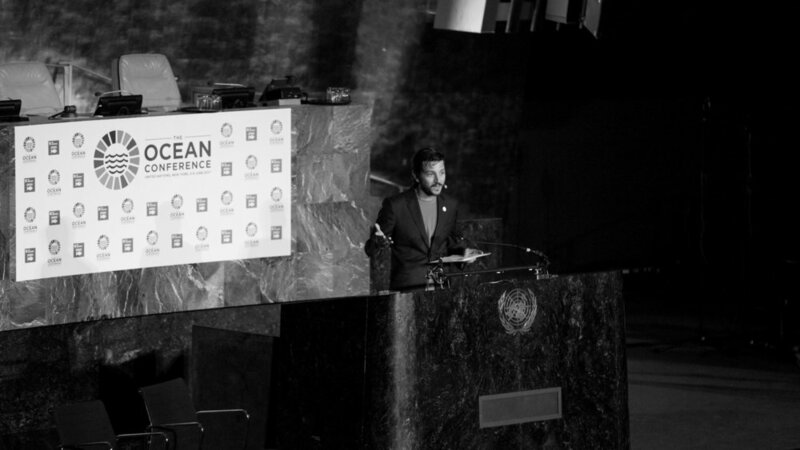 We honored the 2017 commemoration of World Oceans Day day by returning to the General Assembly Hall during the first high-level UN Ocean Conference. Together with the UN Division for Ocean Affairs and the Law of the Sea (DOALOS), we co-organized a highlight event with a focus on solutions and the most promising drivers of change. Speakers included: Dr. Sylvia Earle, Diego Luna, Sir Richard Branson and leaders from across the worlds of marine science, policy, space exploration, youth activism and the arts. Third-generation aquanaut, explorer, conservationist and documentary filmmaker Fabien Cousteau is the founder and CEO of Plant a Fish, a nonprofit dedicated to marine restoration through active community engagement. He is currently working on a feature film and book, as well as establishing the Fabien Cousteau Ocean Learning Center. Cyrill is an award winning designer, brand and product developer. In 2012 he decided to focus on a new client: The Oceans. 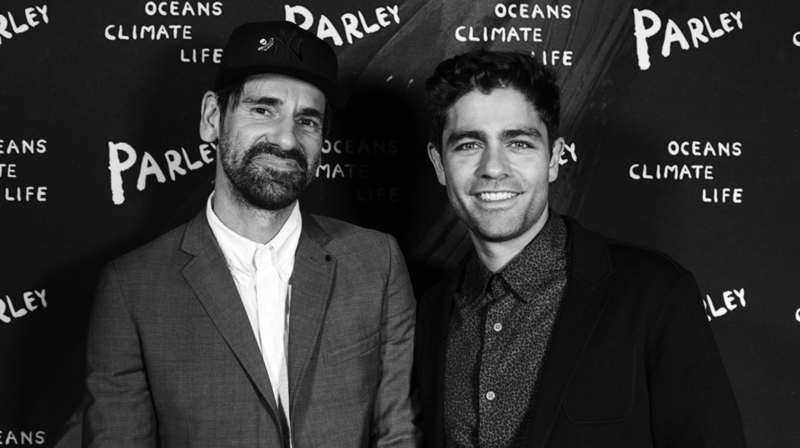 He then founded Parley as a collaboration space for creators, leaders and thinkers to create awareness for the beauty and fragility of the Oceans and to start and manage collaborations that can end their destruction. Paul co-founded Greenpeace with Robert Hunter, founded the Sea Shepherd Conservation society in 1977, and has been an activist for over 40 years. His work is recognized and supported by the best minds and feared by his opponents. He joined the conference live via Skype from aboard one of his ships on the sea. Louie Psihoyos is Executive Director of the Oceanic Preservation Society and Director of the Academy Award winning documentary The Cove. He has been widely regarded as one of the top photographers in the world. He was hired directly out of college to shoot for National Geographic and created images for the magazine for 18 years. 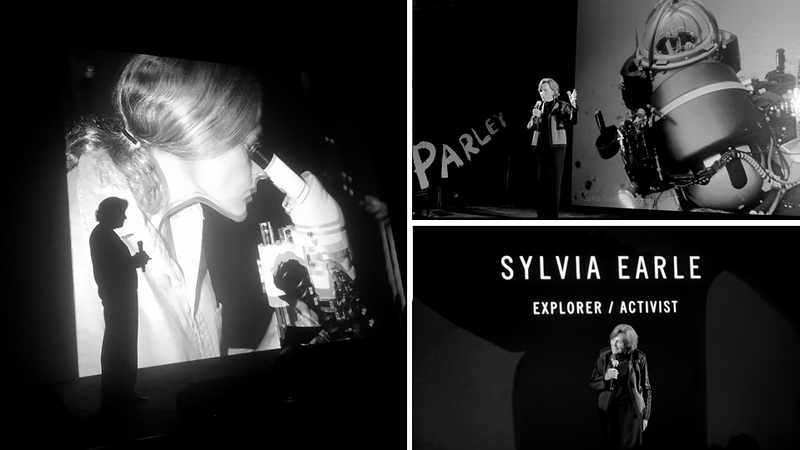 Sylvia A. Earle, Explorer in Residence at the National Geographic Society, Founder of Deep Ocean Exploration and Research (DOER), and former Chief Scientist of NOAA. Author of more than 200 publications, Sylvia has lead countless expeditions with 7000+ hours underwater. Her research focuses on conservation of marine ecosystems. Adventurer, ecologist, author, documentarian and environmentalist, David may be best known for launching Plastiki, a boat made from 12,000 reclaimed plastic bottles, that sailed from San Francisco, CA to Sydney, Australia, in order to raise awareness for the effects of global warming and plastic pollution in our oceans. Dr. Iain Kerr is the CEO of the Ocean Alliance, an organization recognized as an international leader in whale research and ocean conservation since its founding by renowned scientist Dr. Roger Payne in 1970. Ocean Alliance programs include the Voyage’s of the Odyssey and the Patagonia Right Whale Program. Award-winning iconoclastic artist and designer Ora ïto rose to international acclaim by hijacking in 3D the products of the world’s most emblematic and influential brands. Today, his name is a brand of design in and of itself. In 2014, the decorated artist was presented with six Red Dot Design awards and three IF Design awards. Chris is an acclaimed photographic artist and cultural activist based in Seattle. His work explores contemporary mass culture from a variety of photographic and conceptual perspectives, connecting the viewer viscerally to the enormity and power of humanity’s collective unconscious. His images have been exhibited around the world. During his 20-year career with adidas, Eric has played a pivotal role in upholding and continuously elevating the high product and sustainability standards that set the multinational corporation apart. He is Executive Board Member responsible for the multinational corporation’s Global Brands (adidas and Reebok). John has published over 200 patents, papers and books. His recent work in the fields of semiconductor design, biodegradable plastics, personal care products, solar energy and polymeric photoresists are examples of how green chemistry principles can be immediately incorporated into commercially relevant applications. After having spent a decade of his life on commercial tankers, Sid decided to wed knowledge and experience with passion. He joined Sea Shepherd Conservation society in 2011 and has been on a leader on the frontlines of marine conservation ever since, displaying a tireless dedication to the defense of our oceans. Tim studied economics and product design in school, as well as textile engineering at leading fashion houses in New York. He cofounded Bionic Yarn in 2004 based on the concept of advanced recycled materials. Tim believes that environmental sustainability is possible if we can harmonize the economy with nature. TED speaker, multi-media artist, painter and curator Dianna Cohen is best known for her works using recycled plastic bags. She is Co-founder of the Plastic Pollution Coalition, a global alliance of individuals working to stop plastic pollution and its toxic impacts on humans, animals and the environment. "The destruction of the ocean is everyone’s problem. It’s one global body of water that transcends traditional boundaries and makes our points of difference irrelevant." 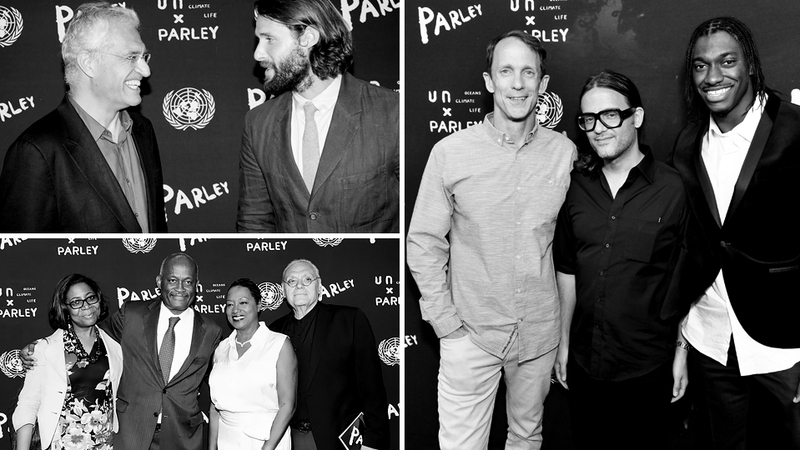 During COP21, Parley speakers, collaborators and guests from the creative industries gathered at the legendary Les Bains in Paris to share knowledge, exchange ideas and launch new initiatives for the oceans cause in a series of Parley Talks and Collaboration Sessions. 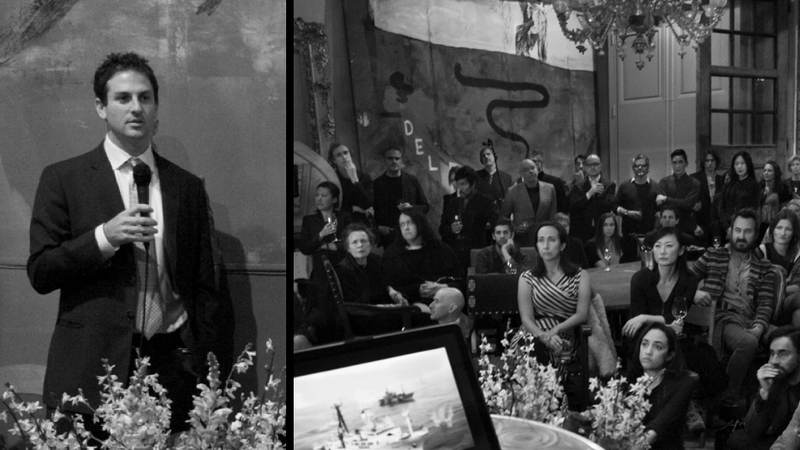 Hosted by Cyrill Gutsch, founder of Parley, and Jefferson Hack, co-founder of Dazed Media, the two-day summit continued the "Oceans. Climate. Life." series initially launched at the UN General Assembly to catalyze awareness and transform words into action for the planet's largest and most important climate regulator. The most pivotal outcome of COP21 is not an agreement on climate change, but the concrete actions that follow to protect and preserve the health of our greatest life support system: the oceans. Climate action has become a massive waiting game. But we can't afford to wait. The creative industry must lead the change. The stakes have never been higher for the future of our blue home; if we do nothing, we stand to lose everything. Every second breath we take is on the line, but as Sylvia Earle reminded those gathered at Les Bains, "never has there been more reason for hope." Together we are stronger than we are alone. 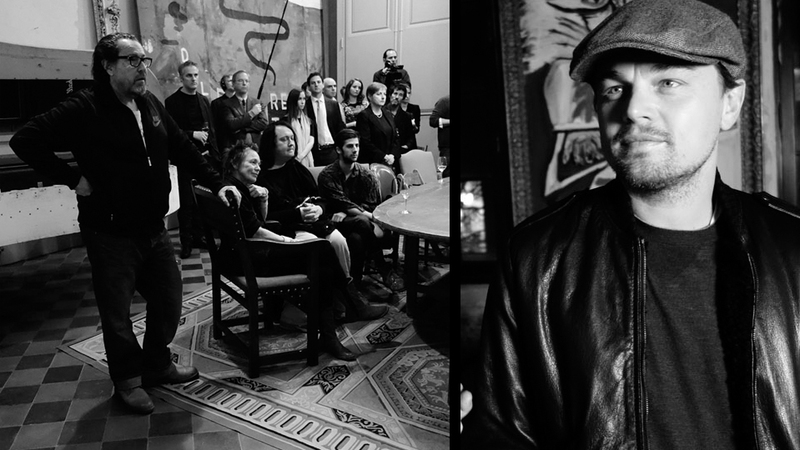 The first Parley was hosted by artist and filmmaker Julian Schnabel at his Palazzo Chupi in New York. A select group of guests came together with the shared mission of sounding the alarm on the importance of protecting the world’s oceans. The aim of the discussions was to brainstorm how the creative industries could lend support to and cooperate with leading ocean sentinels like Captain Paul Watson from Sea Shepherd Conservation Society. 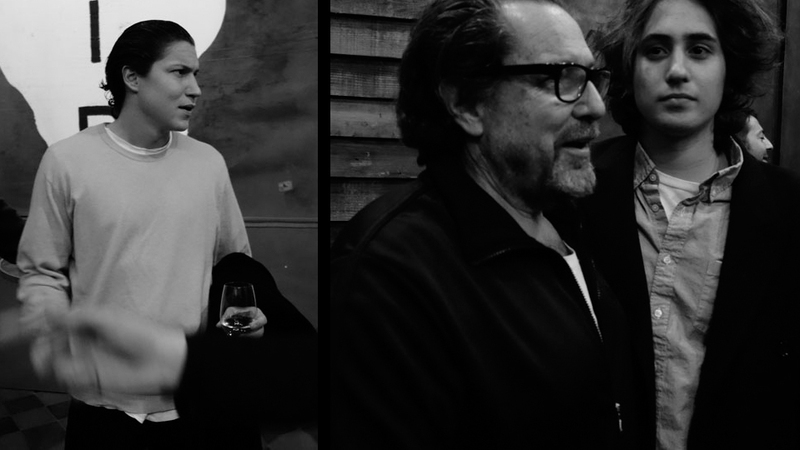 Amongst the attendees were Leonardo DiCaprio, Philip Seymour Hoffman, Eric Schmidt and Jared Cohen of Google, Steven Soderbergh, Kevin Connolly, Pamela Anderson, Antony Hegarty, Laurie Anderson, Francesco Clemente, Arne Quinze, Walton Ford, Sante D'Orazio, and many others. Julian Schnabel (born October 26, 1951) is an American artist and filmmaker. In the 1980s, Schnabel received international media attention for his "plate paintings"—large-scale paintings set on broken ceramic plates. Schnabel directed Before Night Falls, which became Javier Bardem's breakthrough Academy Award-nominated role, and The Diving Bell and the Butterfly, which was nominated for four Academy Awards. He has won the award for best director at the 2007 Cannes Film Festival, a Golden Globe, as well as BAFTA, a César Award, two nominations for the Golden Lion and an Academy Award nomination. In a two-day event, 23 Wall Street was submerged underwater through an immersive audiovisual art installation in an effort to raise awareness for endangered marine species and ecosystems, and to introduce the kind of solutions that are possible through innovation, creativity and collaboration. 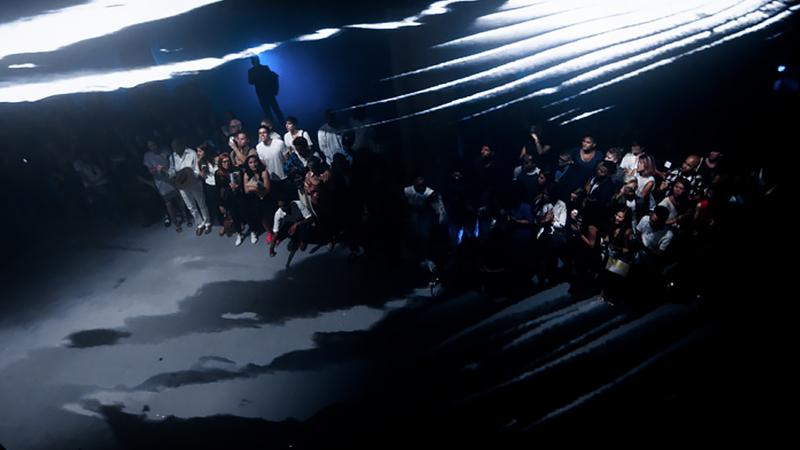 As part of Mercedes Benz Fashion Week, guests were invited to walk the ‘blue carpet’ and kick off the weekend at a Parley hosted Ocean Night, where Pharrell Williams unveiled the first ever denim line made from recycled ocean plastic fibers, the spring/summer 2015 G-Star 'RAW for the Oceans' collection. 'RAW for the Oceans' is supporting the Vortex Project, an initiative by Parley for the Oceans in partnership with Bionic Yarn and Sea Shepherd Conservation Society. Building on the themes and ideas introduced on the previous night’s presentation, Parley for the Oceans invited creators, thinkers and leaders in eco innovation, fashion and ocean conservation to participate in more in-depth discussions the next day, about the most imminent threats to ocean life, and to the life they support on land. Parley Wall Street Summit speakers included Ocean Alliance President Roger Payne and CEO Iain Kerr, legendary oceanographer Sylvia Earle, NASA astronaut Leland Melvin, Sea Shepherd founder Paul Watson, Academy Award-winning filmmaker Louie Psihoyos and other key members of the movement to understand, conserve and protect the oceans. Music artist, producer, serial collaborator, and entrepreneur. 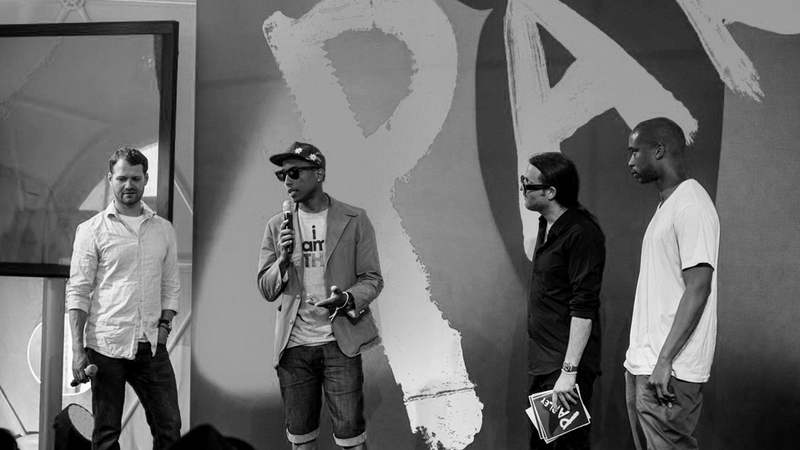 At Parley Wall Street, Pharrell represented his company Bionic Yarn, the first high-performance ecoyarn. Its patented spinning process is capable of incorporating fibers from recycled plastic bottles into durable and refined quality textiles. Engineer, NASA astronaut, and former NFL player. After his NFL career was cut short by a Hamstring injury, he earned a MS in Materials Science Engineering from UVA. He is currently Associate Administrator of Education at NASA, and is a strong proponent of the STEAM (Science, Technology, Arts, Math) movement. Thecla Schaeffer is CMO for the Dutch fashion label G-Star RAW. Known for its innovative work in denim, G-Star has carved out an enviable position bridging the luxury and streetwear markets. She began her career in advertising, managing numerous global accounts. Before joining G-Star in 2011, she was head of strategy at BBDO Amsterdam. Co-Founder of Bionic Yarn. Being a native new yorker he wanted to create something that spoke to the urban person who had a passion for the environment. With a focus on science coupled with a love for the outdoors, Tyson set his eye on bringing something unique that mixed his active lifestyle with eco-conservation. Founder of Psyop, an award-winning creative design and animation studio that works with global brands. His work is featured in the National Design Triennial of Cooper Hewitt and is part of the permanent collection at MoMA. Prior to founding Psyop, Marco was one of the original members of MTV’s Digital Television Laboratory (DTV). Roger Payne, PhD, a biologist, environmentalist, and Founder/President of Ocean Alliance is best known for his discoveries that humpback whales sing songs and that the calls of blue and fin whales carry across oceans. He has worked tirelessly for the conservation of whales in international fora. Engineer and biologist, Imogene Johnson Senior Scientist in the Bioacoustics Research Program of Ornithology and in the Department of Neurobiology & Behavior at Cornell University. His research has concentrated on animal vocal communication with a particular interest in the application of advanced acoustic technologies for scientific conservation of endangered species, from birds to whales. 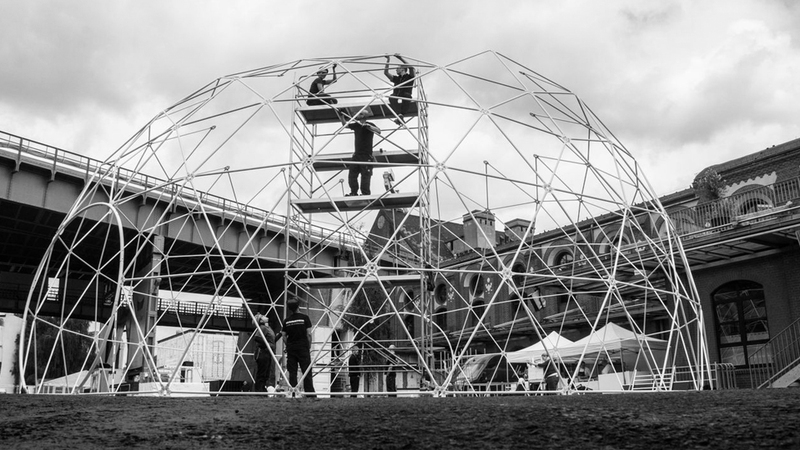 Felix Hallwachs is the CEO of Little Sun, a project with Studio Olafur Eliasson. Prior to Little Sun, Felix worked as a Studio Director for Olafur Eliasson from 2006 until 2012. Felix holds an architectural engineering degree from the TU Berlin, with additional interests in urban studies, sociology, politics, and economics. TED speaker and student in Biochemistry and Entrepreneurship at the University of Pennsylvania. Alarmed by the plastic pollution crisis, she has worked on isolating and characterizing plastic-degrading bacteria from the natural environment. She continues to engage in developing new methods of bioremediation through synthetic biology. Executive Director, Sea Shepherd Conservation Society, Susan Hartland’s work is focused on conservation, animal rescue and advocacy. Before joining the SSCS team as an employee, Susan was a volunteer onboard the Steve Irwin from 2009–10 as a Comm. officer and 2nd mate for three SSCS Campaigns. Heidi is Co-Founder and Managing Director of the Tangaroa Blue Foundation, based in Australia, addressing marine debris in our oceans. Since 2004, Heidi has inspired over 30,000 people to volunteer and helped remove more than 3 million pieces of debris from the marine environment at 1,300 different sites across Australia. 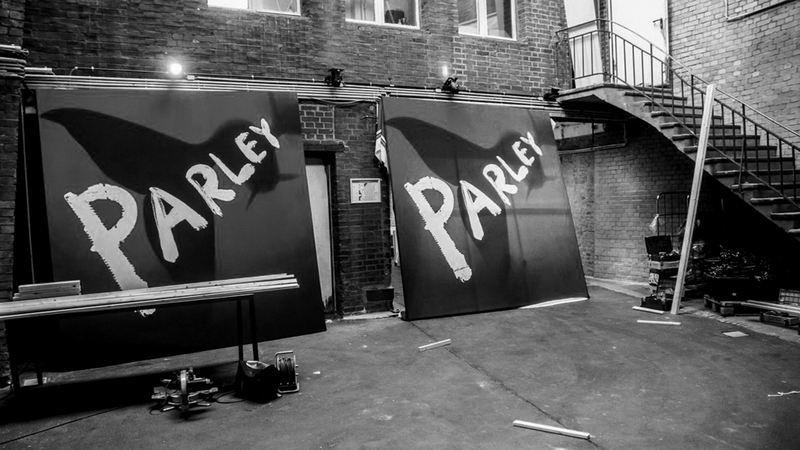 During Berlin Fashion Week, a three-day event series brought together 24 speakers for ‘Parley Talks’, featuring keynote presentations from a diverse group of speakers on the growing threat of plastic pollution in the oceans. Collaboration sessions and a Blue Carpet Party were held to form alliances for The Vortex Project: an initiative started by eco-material innovator Bionic Yarn, Sea Shepherd Conservation Society, and Parley to cleanup beaches and shorelines, boost new technologies, and turn ocean plastic into smart consumer products to create funding and awareness to address plastic pollution. The Vortex Project is based on the belief that we must harmonize the human economy with the ecosystem of nature in order to make a serious impact. 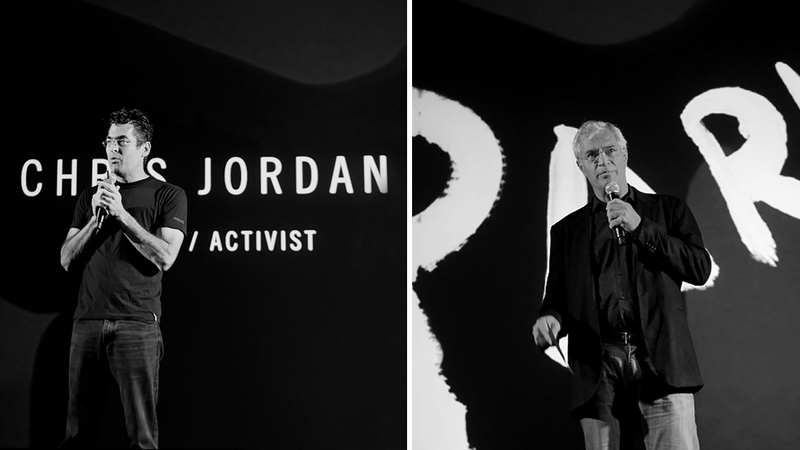 Speakers for Parley Talks in Berlin included, Captain Paul Watson, Pharrell Williams and his partners in Bionic Yarn, Tyson Toussant and Tim Coombs, Fabien Cousteau, Fisher Stevens, David de Rothschild, David LaChapelle, Graham Hawkes, Tom Sachs, Dianna Cohen, Roy Vercoulen, Graham Hill, Margareta van den Bosch, Zem Joaquin, Jurgen Mayer H., Felix Hallwachs, Wolfram Putz, Thomas Wellemeit, Anders Lendager, Tobias Nolte, Lukas Kronawitter and Tomas Saraceno. Music artist, producer, serial collaborator, and entrepreneur. At Parley, Pharrell represented his company Bionic Yarn, the first high-performance ecoyarn. Its patented spinning process is capable of incorporating fibers from recycled plastic bottles into durable and refined quality textiles. Bionic's Co-founders Tyson Toussant and Tim Coombs presented The Vortex Project: a Bionic x Parley collaboration to take plastic waste out of the oceans and to turn it into bionic yarn & fabric, and other material for use in products. Fabien Cousteau is a third-generation explorer, documentary filmmaker and environmental activist. He is founder and CEO of plant a fish, a nonprofit dedicated to marine restoration through active community engagement. On his Mission 31 - he lived and conducted scientific experiments 20 meters under the ocean for 31 days. Fisher Stevens is an american actor, director, and the 2010 Academy Award winning producer for the best documentary “The Cove”. His dedication to ocean conservation continues as director of his latest yet to be released documentary, Mission Blue. He presented his project about ‘Her Deepness’ Dr. Sylvia Earle. British adventurer, ecologist, author, documentarian and environmentalist, David de Rothschild, may be best known for launching Plastiki, a boat made from 12,000 reclaimed plastic bottles, sailing from San Francisco, CA to Sydney, Australia, in order to raise awareness for the the effects of global warming and plastic pollution in our ocean. As a commercial photographer David molded the fashion world and turned heirs, actors, musicians, and models into celebrities. Working as a fine art photographer he reflects his career in a humorous and social critical way. Living in Maui on a farm, nature became a big subject of his art. A world-renowned engineer and inventor, Graham Hawkes wants to revolutionize the way we experience the oceans. He created the deep flight series of winged manned underwater vehicles, which “fly” to the depths of the oceans with the power and elegance of an airplane. Always provocative and daring, Tom Sachs is a world renowned artist and sculptor, probably best known for his elaborate recreations of brands, icons, all of them masterpieces of engineering and design of one kind or another. He believes in ’re-use’. TED speaker, multi-media artist, painter and curator Dianna Cohen is best known for her works using recycled plastic bags. She is Creative Advocacy Director and the Co-founder of the Plastic Pollution Coalition, a global alliance of individuals working to stop plastic pollution and its toxic impacts on humans, animals and the environment. Eco-economist, Roy Vercoulen is Vice president of the Cradle to Cradle institute, an international non-profit organization co-founded by William McDonough and Michael Braungart to bring about a large-scale transformation in the way we make things. Innovator and designer, Graham Hill founded the eco-blog treehugger.com, “the green CNN” and his newest endeavor LifeEdited: How to design your life to include more money, health and happiness with less stuff, space and energy. It’s life. Edited. Margareta was Head of Design at H&M for over 20 years and made a disruptive impact on the fashion world by establishing the idea of accessible designer couture. Her success formula of celebrity collaborations with famous creators, like Maison Martin Margiela, Beyoncé, Stella McCartney made H&M a credible superbrand. Eco-business pioneer, Safia Minney, founded and is CEO of fair trade and sustainable fashion label People Tree. Safia has turned a lifelong interest in environment, trade and social justice issues into an award winning social business. 2010 People Tree was awarded best ethical brand at the global fashion awards in new york. ’J. Mayer H.’ studio focuses on works at the intersection of architecture, communication and new technology. Juergen Mayer H. has taught at Princeton University, University of the Arts Berlin, Harvard University, The Architectural Association in London, Columbia University New York and University of Toronto, Canada. 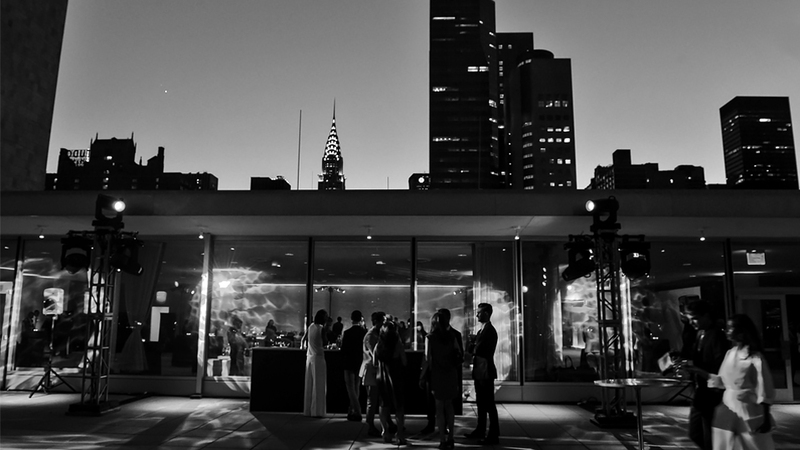 Felix Hallwachs is an architect who has worked with Olafur Eliasson since 2005, as studio director from 2006. Since January 2012 Felix is Managing Director of Little Sun. Wolfram Putz & Thomas Willemeit established GRAFT in LA together with Lars Krückeberg. GRAFT has won numerous national and international awards and garnered international fame with a wide-spread following throughout its 10 year existence. In 2011 he has become one of the most prominent sustainability experts on the danish architectural scene - acting as consultant to government departments, as well as municipalities and private developers. Upcycling has become one of Anders lendager’s specialties. Tobias Nolte is a designer based in Berlin and New York. He is currently director at Gehry Technologies in NY where he leads a team of architects, engineers and builders in the implementation of parametric and computation methods to improve design, engineering and construction performance. Lukas Kronawitter is an architect and planner with a specialized focus on resource management and urban ecology. He has researched a range of projects including reusable and organic building material at Munich University, sustainable water and waste management at the HafenCity University of Hamburg and Terreform One in Brooklyn. Visionary artist Tomás Saraceno creates inflatable and airborne biospheres with the morphology of soap bubbles, spider webs, neural networks, or cloud formations, which are speculative models for alternate ways of living. Tomás Saraceno, born in 1973 in Argentina, studied art and architecture.